Be the first-taste of the new Meiomi Sparkling Wine as it is introduced to the Los Angeles area. Ali Larter will host the private invite-only event, which will be held at the notable restaurant Ysabel from 6:30 – 8:30 p.m. In acknowledgement of the local Los Angeles-area groups working to support and rebuild communities impacted by recent events, Meiomi Wines will make a contribution to the California Community Foundation’s Wildlife Relief Fund on behalf of this event and its attendees. Invite-Only: Gather at Harriet’s on Tuesday, December 11th from 7pm-9pm for a very Special dinner celebrating the newly launched CÎROC VS Fine French Brandy at Harriet’s at The Jeremy Hotel in West Hollywood. 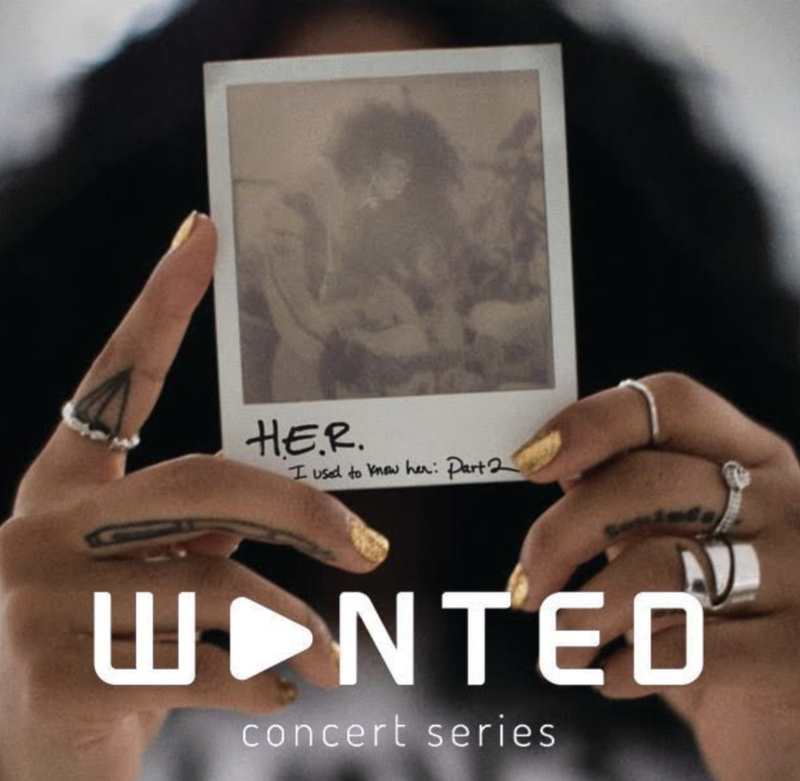 MWP Entertainment Group is launching a live interactive concert series, “WANTED,” and will hold its inaugural event performed by platinum R&B Artist H.E.R. on December 14, 2018 at The NOVO Theater in LA at 9:00 p.m. Tickets are on sale now at www.axs.com or www.thenovodtla.com. The concert will also be available via live stream on multiple platforms, allowing the concert to be anywhere and everywhere, at your fingertips. SCISSORHANDS is a new holiday musical tribute/parody to the beloved film “Edward Scissorhands” playing Fridays, Saturdays, and Sundays from December 7, 2018 - January 5, 2019 at The Rockwell Table & Stage in Los Feliz. Directed by Bradley Bredeweg and executive produced/adapted for the stage by Bredeweg and Kate Pazakis, the show stars Dionne Gipson (The Inventor), Jordan Kai Burnette (Scissorhands), Emma Hunton (Peg), Natalie Masini (Kim), Keir Kirkegaard (Jim), Morgan Smith (Esmeralda), Ryan O’Connor (Helen/Bill), and Carley Casey (Joyce). The original 1990 film was directed by Tim Burton and starred Johnny Depp, Winona Ryder, Dianne Wiest, and Kathy Baker. Tickets available at tickets.rockwell-la.com. DIFF will be hosting a drive to give back to the local community for the holidays. Anyone who attends will meet the DIFF team, and receive a pair of DIFF sunglasses! To participate, each guest will need to bring 2+ items to donate. Items include; Canned food, Baby food/formula, Toiletries, New or used clothes, School supplies, Garbage bags, Pet supplies, etc. Donations are going to Project NEEDS, a food pantry in South Bay which provides food and supplies to the homeless. Project NEEDS also partners with Pets of the Homeless to offer pet food, supplies, and services to the animal companions of the homeless in the community. Newly opened restaurant SLAB by The h.wood Group with internet sensation Trudy's Underground Barbecue pitmaster Burt Bakman upcoming Christmas special. If interested in bringing SLAB to your home, place your order by Friday, December 21st by sending a message via Instagram and your order will be ready for pickup on Christmas Eve.